Ken comes with my highest recommendations. He is always looking for new ideas to assist his clients. I admire him for his creative work and willingness to “give first.” You would be doing yourself a favor to align yourself with Ken as I have. We used Ken's services as a buyers broker for about six months in 2012 and 2013. When we explained to him what we were looking for in a house, he was able to match our desires to the available properties. During negotiations he was a pillar of wisdom. When we found the house we wanted, he managed the closing to happen in less than 20 days; fantastic. Ken is a great guy and provided us with excellent service and support. I recommend him to anyone looking for a high quality realtor that really cares about his clients. Ken helped us buy our first home in Broken Arrow. After we moved to Northwest Arkansas, he continues to provide his experience and great advice whenever I've asked. Ken has been one of top producers for many years. He is very professional a good communicator and very detailed and efficent in his marketing and his transactions. Ken is truley a successful Realtor and I would highly recomend him. Ken is a skilled professional at all times keeping his customer's goals his primary concern at all times! I would highly recommend Ken to help you buy or sell your home! Ken has taken good care of us and highly recommend him. On 2 separate occasions I've recommended Ken to neighbors who were getting ready to sell their homes. On both occasions they went with another Realtor without luck. Once they listed with Ken their homes sold. We contacted Ken after spending several unsuccessful months on the market with another realtor. Ken immediately got to work, and we sold our home within weeks! Not only is Ken a superb realtor, but also a great person to know. I know of several families, mine included, that continue to stay in contact with Ken even after their home has sold. Director of Sales Marketing at Aero Maintenance Group, an AFI KLM E&M company. This recommendation is long overdue. Ken sold our house and assisted us in buying our new home. In a tough market we sold in 5 days - and had 3 buyers lined up. He helped us negotiate with a difficult Realtor, and we came out with $5,000 more than what our house appraised. Ken spent countless hours with us and kept us organized and on track. Outside Sales at Industrial Piping Specialists, Inc.
Ken is a joy to work with and he knows how to deliver results. I couldn't have asked for a better experience as a first time home buyer. Ken was patient, knowledgeable, transparent, and looked out for me through the buying process and well beyond. After talking with me a little bit he was able to customize the information for me and provide statistics, which I loved. Even after I purchased my home, he followed up to make sure I didn't miss out on anything. Do yourself a favor and call Ken. You won't regret it! Ken is a God send! He helped us buy and sell a home. He listens, understands your needs and wants, and puts his expertise to work. I would recommend Ken to anyone interested in the Tulsa market. He is very knowledgeable and professional when it comes to understanding the market trends. The best decision we ever made...Ken knows and sells homes!! Ken has went above and beyond any expectations during our relocation process. Very helpful and knowledgeable. I couldn't have chose a better realtor. I would definitely recommend Ken and his team! I have now sold two homes and purchased two homes with Ken Rutherford- spanning over a 17 year period. In all cases it was obvious that he not only was extremely knowledgeable but that he CARED about us ending up in the right place. My mortgage lender commented several times that me having an agent like Ken made his job and our closing much easier on everyone. He even brought a congratulations gift to my closing and has followed up with me to make sure all is well at the new place. Could not be more pleased! Very good experience with Ken. He found a buyer for our house under time constraints and guided us thru the whole process. Ken was everything you could ask for in a professional handling such an important transaction. He was responsive, communicated frequently, and he did a great job selling a property even under difficult circumstances. Ken went above and beyond me for and my family and highly recommend him to anyone considering the sale of a property in the Tulsa area. Ken is a true professional. From our first meeting to our closing. If you want more than just your home listed.....if you want it marketed, and sold call Ken. We will recommend Ken to our friends and family. Over the last 18 years Ken has helped us buy 3 homes (in Tulsa, Claremore, and Jenks) and sell 2 (Tulsa & Claremore). His knowledge and experience in every aspect of the selling and buying process makes even complicated things seem easy. Ken was instrumental in finding good inspectors and in making sure our financing was in place up-front each time we purchased. He encouraged us to ask questions of a builder that we never would have thought of on our own but felt much better knowing the answers. He was also incredibly helpful before listing two of our homes as we sought his input about anything that might need changing (like wall color) before we went to market, and did a lot of legwork finding comparable properties that had recently sold so we could make an informed decision on a price point for listing. He was there for each of the closings and was able to answer all our questions about specific forms and fees. When (if) the day comes to sell the house we're in now, there will be no question about who to call. Thank you so much for your kind words. You have been a joy to work for and treasure your loyalty and friendship. You have helped me buy and sell my homes over the years and you have always done a masterful job with both. Your dedication to excellence is the difference. Your knowledge of the housing business is amazing and always have honest and educated opinions. I will definitely call you when I am looking to buy or sell again! Take care and talk to ya soon! Ken was a delight to work with! We just purchased our 3rd home and Ken was by far the best agent we have ever worked with! He was incredibly helpful and patient. Thanks again, Ken! The average person buys and sells a handful of homes in their lifetime. Ken has been doing it every day for past 22 years. He has seen and solved any issue that may arise many times over, and has a way of make any problem go away. Buying and selling homes is not stress free, but Ken gives great advice and will represent you well. Ken was my realtor when I bought my home 20 years ago and he was the first person I called when we decided to sell it this year. Ken is honest and will go the extra mile to make sure you are a satisfied customer. Thank you Ron and Karen for your Trust. I value your comments and appreciate the recognition you have given my efforts in representing you in the sale of your home. My goal is always to put my clients first and share with them the knowledge I have gleaned in over 860 sales. Thank you again. Your Realtor for life. Ken Rutherford, "kensellshomes"
We had to make a last minute move and time was crucial. Ken devoted all his time and attention to us to ensure we found a home on time. He made sure he understood our needs, wants and budget and worked hard to pre-screen our choices to eliminate a lot of "run around". We will use him again! My wife and I have purchased three investment properties through Ken in the past few years and have been very pleased with his service. Being new to the investment property business, we found Ken to be very patient and knowledgable of the Tulsa housing market. He is family friendly and professional, even when I waste his time. We will continue to do business with Ken and recommend him to friends. Ken worked with us for several months as we educated ourselves in investment properties. Ken is infinitely patient and extremely knowledgeable with a wealth of resources and guidance. We eventually bought 3 sound investment properties in 2012 with Ken's help. 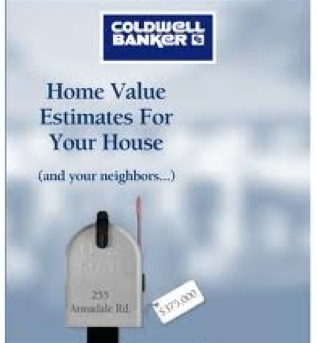 Very professional and helpful in determining the true value of homes. Thank you so much for your review on Zillow.